Kelly Barnhill went 4-0 and picked up a save in Florida's first five games of the season. 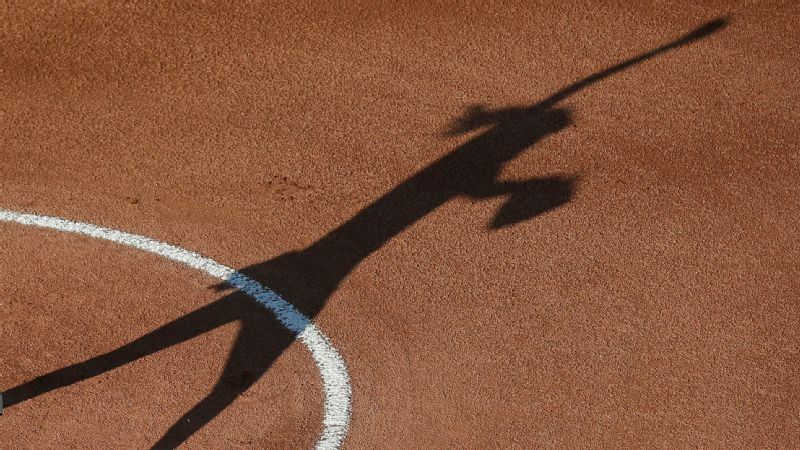 The opening weekend of the 2019 NCAA softball season couldn't have gone better for No. 5 Florida. The Gators posted a 5-0 record, including wins over No. 6 Arizona and No. 14 Michigan. There were plenty of other teams that came out strong, but Florida's dominance against quality opponents merits a discussion here and now. Scoring 33 runs over the weekend is certainly one way to answer any lingering questions following an early exit from Oklahoma City to conclude last season. Four wins plus a save and 26 strikeouts over 19 innings from senior ace Kelly Barnhill is another. Barnhill obliterated the field. She appeared in all five games, starting three of them. Her four wins plus a save, along with a 0.74 ERA, should send a swift reminder to the rest of the country that she is not someone to be trifled with. Her impressive stats did not all come against cupcakes, either. Barnhill pitched a complete game against Michigan, holding the Wolverines to just two hits in the Gators' 6-0 victory. She also ensured the Gators' 3-2 victory over Arizona by retiring the side in the seventh to get herself a save. 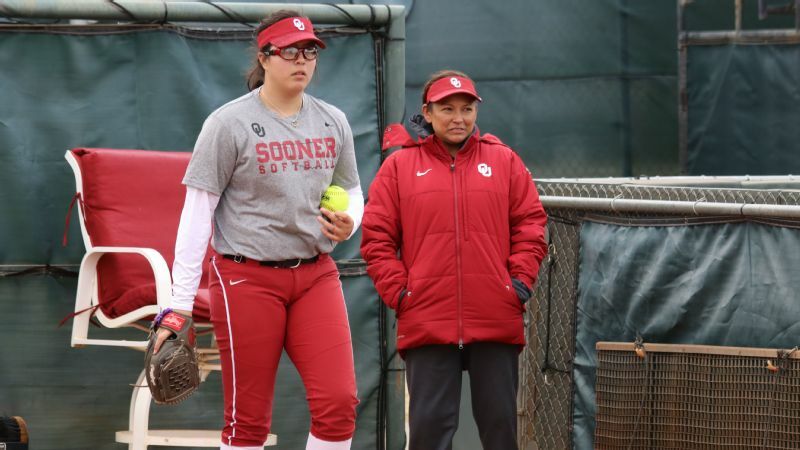 Where Barnhill is concerned, perhaps the most encouraging part of her weekend, was not, in fact, the statistical dominance, but a walk against Arizona. She entered the game in the top of the seventh in a tight spot -- the Gators clinging to a 3-2 lead. She got a groundout and a fly out to start. And then she walked Joelle Krist on four straight pitches. 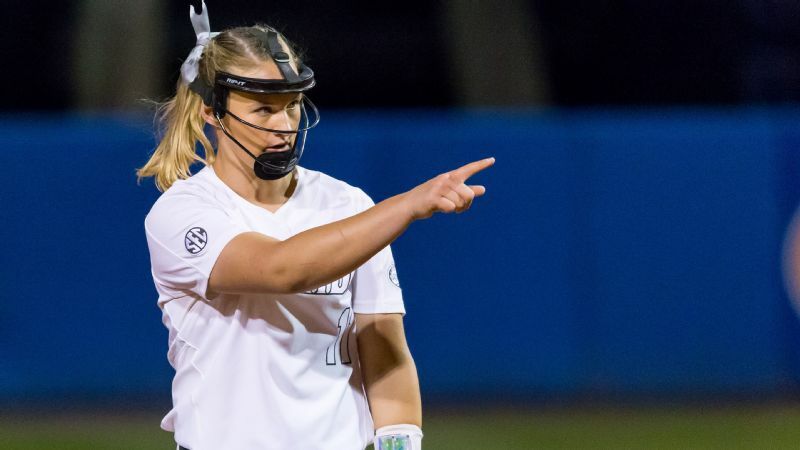 That could have been a moment for Barnhill, who was in the circle a year ago at the Women's College World Series during a disastrous fourth inning against UCLA that derailed the Gators' hopes for a title. Instead, she got the next batter to end the game. 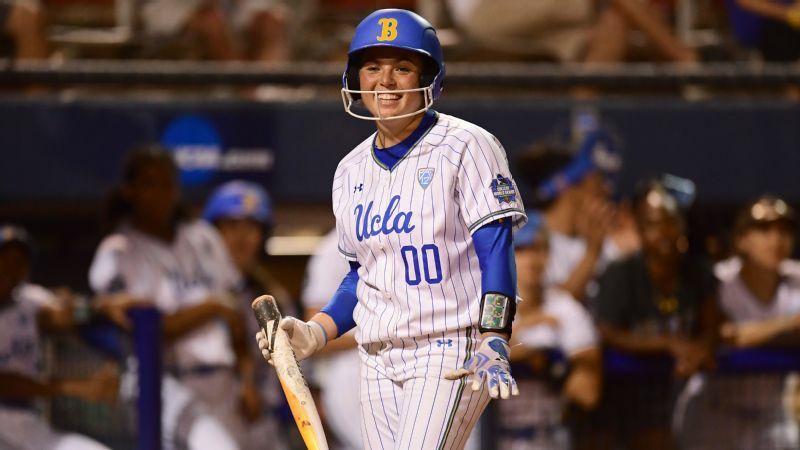 Kelly Barnhill as an underdog? If nothing else, her opening weekend served as a stark reminder to the rest of the country just how dominant Barnhill is. 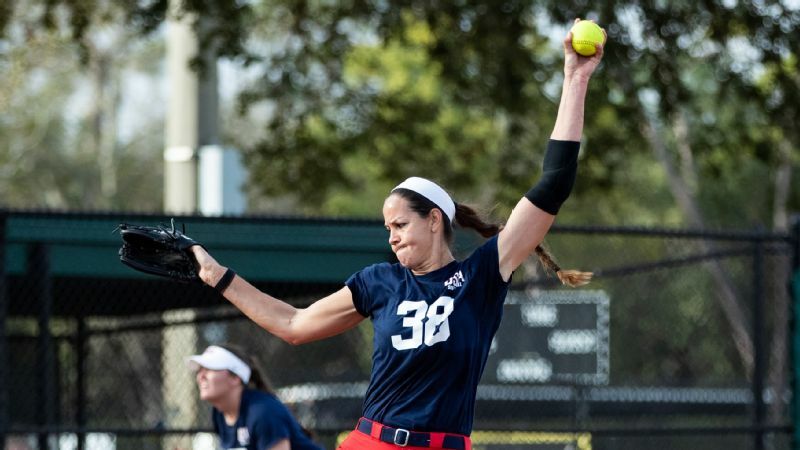 She's the best pitcher in the college game, but her performance against UCLA in Oklahoma City and being left off the USA national team muddied the waters for those with short memories. For Barnhill, however, the disappointments might have taken the pressure off heading into this season. "You get to be the underdog now," Barnhill told espnW's Graham Hays. "Everyone loves a good underdog story." Hard to see Barnhill -- or Florida -- as underdogs now. And it wasn't just Barnhill that lit up the opposition this weekend. Senior outfielder Amanda Lorenz led the Gators with seven hits over the five games. Sophomore catcher Danielle Romanello contributed six hits, including a pair of home runs. 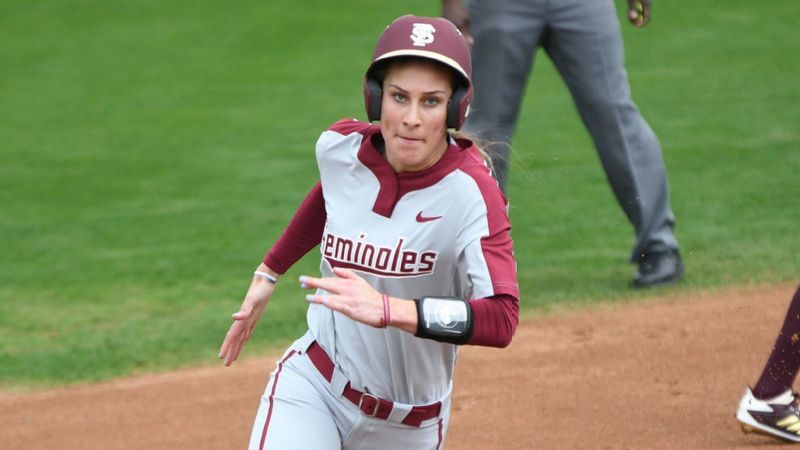 Her two-run shot in the first inning against Arizona gave Florida a lead that it never relinquished. In total, Romanello had five RBIs over the weekend. Up and down the lineup, the Gators' bats were moving. Jaimie Hoover, Jordan Roberts, Hannah Adams, and Sophia Reynoso all had home runs. 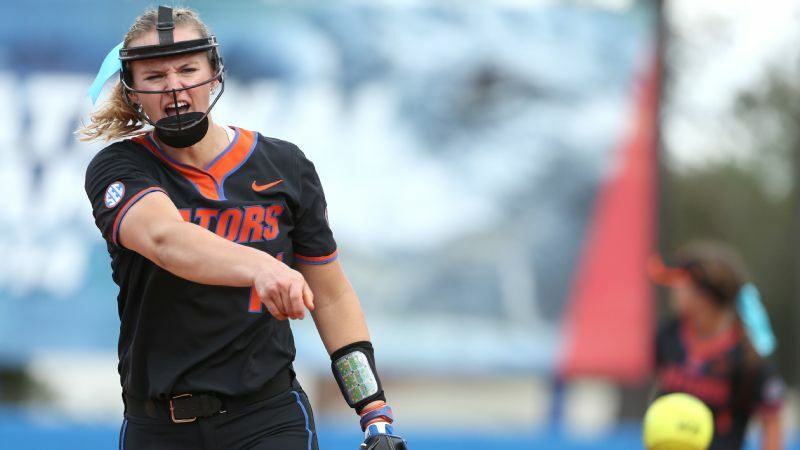 Hoover and Kendyl Lindaman contributed five hits in her first weekend with the Gators. There were plenty of exclamation points during weekend No. 1 -- Notre Dame upset No. 3 Washington, Indiana stunned No. 6 Georgia, LSU freshman Shelby Wickersham threw a no-hitter in her college debut, Alyssa Loza threw a perfect game in her first start for Mississippi State -- but none of them bigger than Barnhill and the Gators.